TME’s offer has been enriched with two series of new vandal resistant switches: V12B (round) and V12S (square). These switches are designed for panel mounting in the hole Ø12mm. 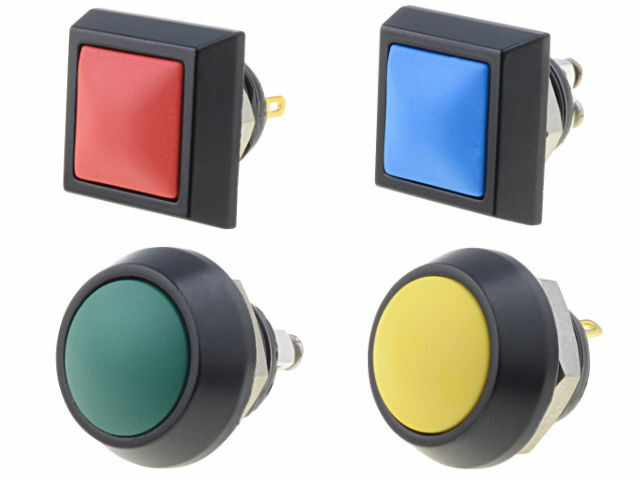 They are available in 7 colours (blue, green, black, orange, red, white and yellow) and in the screw terminal version (V12x-10) or with soldering terminals (V12x-12).